Together with his brother, Arie Pieter van der Hoek owns a rhubarb farm in Heinenoord. 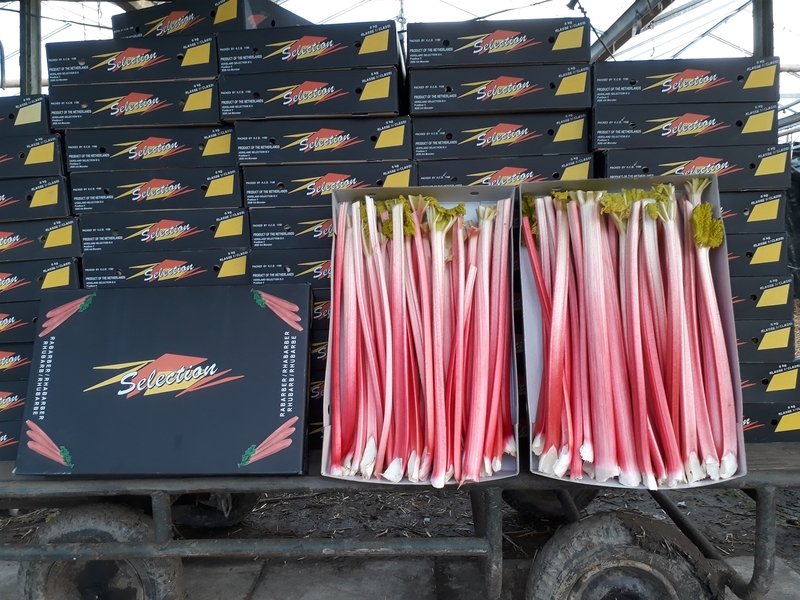 Rhubarb is the main crop, but they also grow cherries in a greenhouse. The farm mostly grows Goliath rhubarb. Some of the rhubarb crop is forced. ‘That means that after two years we move the outdoor plant to the greenhouse,’ says Arie Pieter. ‘That doesn’t happen on its own; you have to take a lot of factors into account. The plant must be completely at rest in winter. What’s important here is that plants get cold enough: the colder the better. To keep an eye on this, we measure cold points after the plant dies back in September. For example: a night with 0 degrees in the soil scores 10 points. The plants can go into the greenhouse after about 350 cold points. This usually happens around January. The greenhouse is darkened and the heater is set to 20 degrees. 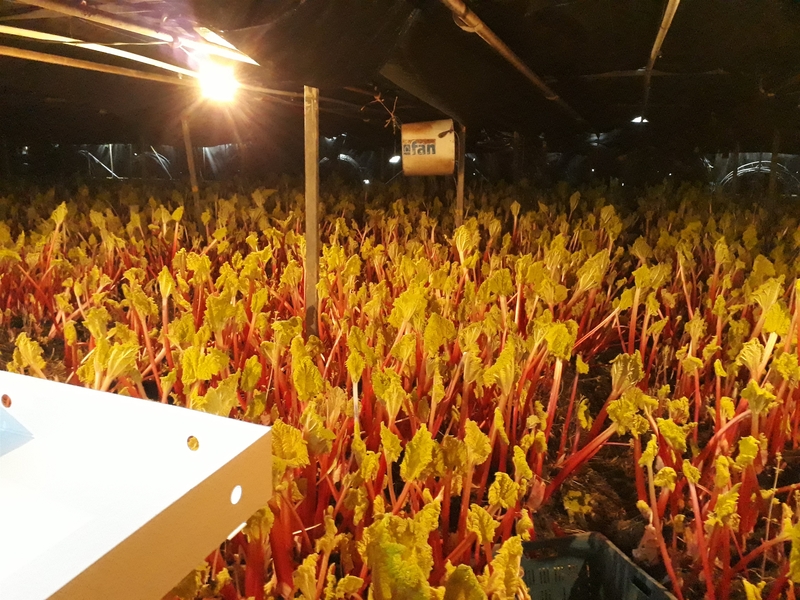 After about four weeks the first rhubarb can be harvested from the greenhouse; we have a total of six or seven weeks of harvest. After the harvest the plants are worn out and have to be destroyed. This means that every year we have to create a new outdoor field to allow the process to run its course. Forced cultivation has enabled Arie and Pieter to fill a gap in the market. In addition to the Goliath, the company also grows cherries and rhubarb for the fresh food market on a small scale.